The Chase Sapphire Preferred card is an excellent all-around card thanks to its generous double point categories that include airfare, hotel stays, car rentals, restaurants, catering, fast food, coffee shops, bars, lounges, cafes, taxis, Uber, parking, limos, buses, trains, EZPass, bridges, ferries, timeshares, etc. On the first Friday of each month the dining/catering category is bumped up to triple points. The card is made from metal and a real live human being answers the phone when you call customer service without having to navigate a phone-tree maze. 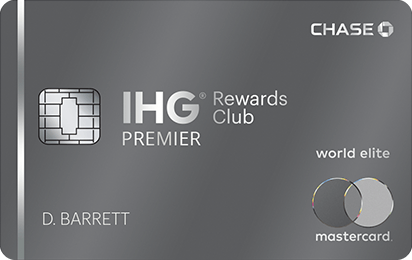 The card offers 40,000 Ultimate Rewards points for spending $3,000 in 3 months and an additional 5,000 points for adding a free additional user card. The $95 annual fee is waived for the first year. There are no foreign exchange fees with Sapphire Preferred. Unfortunately the 7% annual point dividend on top of all earning is being phased out. Existing customers will still earn the 7% points dividend in February 2015 for 2014 purchases and one final time in February 2016 for 2015 purchases. On the plus side though, effective today Chase is adding free primary car rental CDW insurance for every country in the world to the Sapphire Preferred card. Almost every other credit card out there (besides for Chase United cards) only offers secondary coverage when you rent a car in your home country. The difference between primary and secondary coverage is huge. Secondary coverage requires that you file a damage claim with your own car insurance company and only if your personal car insurance denies the claim will the credit card pay out. You would have to be crazy to file a claim with your personal insurance for a scratch on your rental car. With primary coverage the credit card will cover all damage done to your rental car and your personal car insurance will never have to find out-so you won’t have to file a claim with your personal car insurance and your premiums won’t go up. With primary worldwide coverage on top of 2 points per dollar for car rentals, there is no better card today to rent a car on than Sapphire Preferred. The Chase Sapphire Preferred card earns Ultimate Rewards points and has the ability to transfer points into miles. 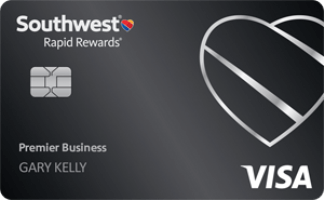 It also gives you the ability to transfer points from fantastic cards like Chase Freedom and Ink Cash into miles as well, as those cards can’t transfer points directly into miles without having the Sapphire Preferred, Ink Bold, or Ink Plus card. 52 Comments On "Sapphire Preferred Phasing Out 7% Annual Dividend, Adding Primary Rental Car CDW Insurance Worldwide"
Do you have the link to the updated “Guide to benefits” for this card? Existing customers should get something in the mail over the next couple months. Thanks for the post. Just one correction. Ezpass is not considered travel on the sapphire. I spoke to them several times and thats what they told me. 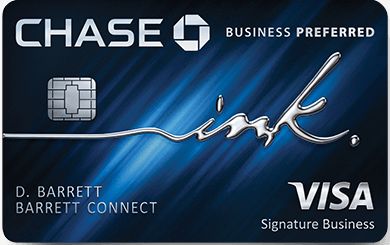 Does the car rental primary benefit also apply to the chase ink business bold card? Everything I’ve read online from people indicate that they have gotten double points for EZ-Pass. Are you sure you didn’t get double? I wonder if it might vary by state? Ink cards only offer primary CDW on rentals in your home country that are for business purposes only. Personal rentals only have secondary coverage on Ink. The Benefits administrator is not aware of the primary for this card at this time. I would be cautious to rent something and expect primary coverage without seeing something in writing. I am sure it is true, but the folks that handle the benefits are not aware of this as of now. Will the coverage apply also for existing rentals started before their upgrade? also, what is the length of rental days they are covering? I once heard they are covering only for 15 days. It just went into effect 48 minutes ago. How does the primary rental insurance compare to American Express’ version where you pay $25/day? Should I continue with AmEx or start renting with Sapphire Preferred? when is the 7% being phased out? Is it too late to apply? How does sapphire return protection compare to Amex? As for the travel protections I have learned that by time you are done with All their exclusions there isn’t much they are covering..
Did the regular Sapphire card (not Preferred) also get the primary CDW? 1. When renting a vehicle in israel for example, were the price of cars are significant higher and every full size car exceeds the 50k value limit or in every other country when the rental company suddenly offers you a luxury car that exceeds the limit what do you have to do? Do you have to decline the upgrade in order to be covered? 2. On award tickets, if I paid all charges and fees with my CC, will I be entitled to travel protection as trip interruption, lost luggage? On award tickets, if I paid all charges and fees with my CC, will I be entitled to travel protection as trip interruption, lost luggage? SP is a whole lot less of a hassle than that. All cards will have these new benefits. As far as the 7% goes, that’s being phased out today. It seems like it’s already phased out for new applications. I mean anything is possible and applications today might fall through the cracks, but you shouldn’t bank on that. Not as smooth, but it does cover a higher amount. 1. My understanding is that Chase doesn’t have a dollar amount cap on their CDW coverage. And luxury cars are included (though exotic cars are excluded). 2. Again, my understanding is that as long as you put all the taxes/fees on the card that you will be covered. Are these new benefits also in effect in the the sapphire non-preferred? With the new terms in effect, does Sapphire rank better than Amex cards for all car rentals and flights? Or are some of the Amex cards still better in any ways? Thanks for all this info! How can I get the letter of coverage stating that I’m covered in Israel from Chase? If you don’t have collision insurance on your car, then secondary insurance will cover you. I have never had collision insurance, it is the biggest waste of money out there. Save the money in a bank account and you’ll have enough money to buy a new car if you ever total yours. @Dan: I totally disagree with u Dan, Amex collision is Alot easier to deal with than SP. I’m talking from experience, Iv been involved in a few accidents and Amex way easier. FYI, Chase Fairmont offers primary CDW too. Do you think it’s worth it to have sapphire preferred if I have ink bold? No AMEX card gives free primary coverage or coverage in Israel. Not in my guide and not according to the reps on the phone. When is your guide from? I pay $90 per 6 months for collision damage on my Altima and Odyssey. How long do you want me to save the $180 per year to be able to afford a totaled car? You’ve given lots of advice via comments that I disagree with, but this one takes the cake. AMEX might be easier but is it worth $25 per rental (or quasi insurance fraud and taking the time to manually change your card every time at the end of a rental)? I’ve had 2 rental insurance bogus scratches made up by Avis and Budget in TLV. Didn’t have an issue getting my money back. Personally I never buy travel insurance. SP gives trip cancellation insurance for covered reasons for free. Don’t have that card, but good to know. SP is a much more useful card for ongoing spending. Definitely, they both have very strong bonus point categories that don’t overlap. My mistake. They indeed give double points for ezpass. However on ezpass at airport parking they do not give double since its considered parking and not travel expanse. Aweard no? Dan, I can agree with you on the $90 for 6 months, but in the New York/New Jersey area there is not a single insurance company that will give you collision insurance for that price. I just priced it right now for Hunterdon County, NJ and 1 year of collision is $600 with a $2,500 deductible and $1,400 a year with a $100 deductible (on a car with brand new value of $14,000). And it is even higher than that in New York City. So Dan, yes for $90 I can agree it is worth it, but I was referring to the cost of collision in the New York/NJ metro area. Parking gets double points as well, so yes, that’s odd. Ah yes, posting advice without saying it’s only for NY’ers is a common theme. However there’s good reason for that price discrepancy, because in NY metro the odds of getting in an accident are far higher than elsewhere. And you might want that coverage that much more. For an apples-to-apples comparison though, I carry a $1,000 deductible. And my total 6 month premium with strong liability, collision, and comprehensive for the Altima+Odyssey is $300. would I be covered under SP trip cancellation? Did you call the airline and try to cancel or rebook? I booked on Alitalia do you think they will let me cancel? How do these new trip delay, luggage protection, etc. benefits compare to the benefits on the Amex cards? I got the money back from SP also no biggy (plus the 2x a dollar for the charges!! Lol) Just saying tht Amex is even easier. If I already have a freedom card and am getting the 7% dividend, and I apply for the sapphire today would I get the 7% for the sapphire as well for the next 2 years? You won’t know if you don’t try. Depends which AMEX cards, but generally AMEX charges extra for those protections. But SP is cheaper and you get more points. If you try let us know. But the Freedom gets a 10% checking account dividend. The SP 7% dividend had nothing to do with a checking account. @milechazzer: They’re much better than most Amex card. Most amex cards just provide accident coverage (like if your plane crashes and you die or get injured you get money). Does 7% dividend phase out change which card to use on a daily basis? I gotta know which insurance company you’re with! We are in Cleveland too, and are paying about $400 in 6 months for 2 similar cars to yours, with Geico. Both myself and my wife have perfect driving records. I’ve called many insurance companies to check rates, and this was the cheapest I found- who are you with that is only charging $300? Thanks! Any idea if the primary can be used in Ireland? I know the have harder rules on CC CDW, thanks. What about the MC? Doesn’t the Sapphire Preferred World MC offer the same coverage? 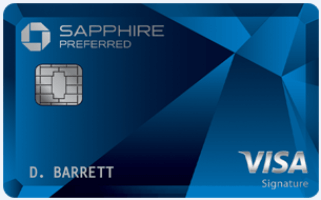 If I got the chase sapphire Preferred visa card 2 years ago 2012, once I got the bonus and waited for a year I cancelled it 2013, could I sign up and get the bonus again for this card? thanks! Dan, I just got into an accident in NY in a rental, paid for on the sapphire preferred and I just called to file a claim and I called the claims dept and she said I don’t have primary coverage. She told me to file a claim anyway which is what I did. What do I do now to make sure they cover this and I don’t have to go through my car insurance? so theoretically would i have to have car insurance at all? or could i be rid of car insurance and still use this benefit? just a curious point. I’m guessing the car rental places still require proof of liability?